WhatToNameIt: And the concert is today. At the behest of a friend, I happened to visit the Prime outlets mall or whatever else it is called. Almost raided that place and got all the footwear I needed. I am sure Aldo shoes will record a boost in their sales this year, and I would be glad to take sole credit for that. I have always noticed that footwear, or rather the kind that I need is not available in Chennai or in any of the metros. One of the exercises that I find tiring is shopping. Its the dullest thing to do. And physically tiring. No good on the personal plastic either. Wish I don't have to do that but, as I mention time and again, its an occupational hazard. But for the amount of things that I needed I was done in about 5 hours or so. As long as shopping is concerned, its good to know what you really want make a list and stick to it. I like the look and feel of Florida. The energies here are much unlike Canada but the people in Canada, or at least the ones that we were in touch with, I feel are nicer. I also discovered relatives of mine here and it was good to see them. Remember seeing them when I was kid. Also part of my extended family has extended so much and too quickly for comfort that I am now - hey and presto - a GRANDMOTHER. To a 6 month old bonny boy. I dread the day he ll start talking and call me "paatti". Other than that I have some high plans here before I board the flight back home. Shall let you know if they come to pass. The concert is in a few hours. Hope God Blesses me. I guess I need it. Hope ur concert is going well!!!!! u dont need wishes, u r a natural on stage!! please do let us know which songs u have performed! Also, glad to hear u like Canadians :) Indeed, we are nicer :) And dont get too addicted to Aldos, it will be dictate your life!!!! If you ask your mom, she'll probably tell you, even hoping that God would bless you was more like not believing in him. 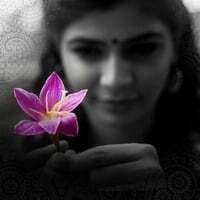 Chinmayi, God is always with us. You'll agree too. And you know people who work smart and hard, and with belief in good things deserve. Best wishes and why don't you step into canada! Looking fwd more of your concerts! actually, waiting for vijay's super singer cd, we didn't recd yet. All the best!!! God bless you always. Look forward to your post about your trip. God's blessings is always with u Chin. Waiting for the post about the concert and the trip to Orlando. All the best. Take care. you have been blessed with a good voice. And u are asking for more blessing...u are greedy!! Do you find on your way at any moment "ways and means of stroke rehabilation and recovery"?? DSW is a good store and you can find great deals. The outlet mall was a great idea for you to shop as well. A video from your Orlando Concert that made it to youtube two days back: Mayya Mayya from amongst many videos on FeTna 2008.